Aquamarine’s color range is very narrow: It can be blue, very slightly greenish blue, greenish blue, very strongly greenish blue, or green-blue. The gem’s most valuable color is a dark blue to slightly greenish blue with moderately strong intensity. In general, the purer and more intense the blue color, the more valuable the stone. Most aquamarine is a light greenish blue. 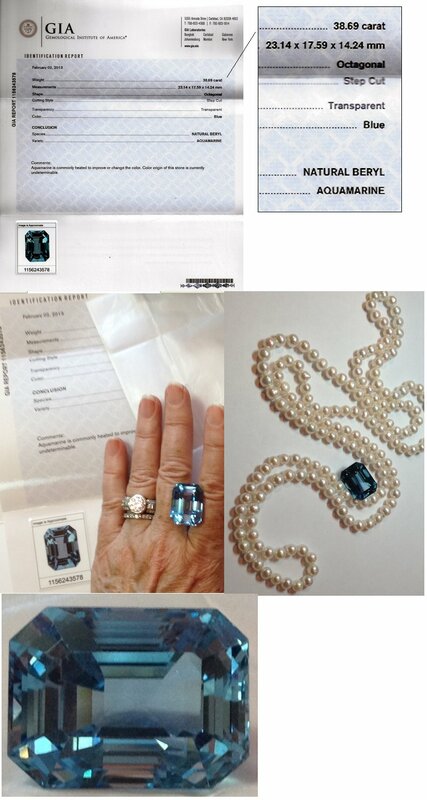 Fashioned Aquamarines often have to be fairly large—generally over 5 carats—to show intense, dark color. While the choice of color is largely a matter of taste, the deeper color gemstones are more rare. The most prized color is a deep-blue aqua color, such as this stone. Aquamarine is a member of the Beryl family, (which also includes Emerald, Morganite and Yellow Beryl). The word Aquamarine is derived from the Latin word for sea-water because the colors can range from shades of green-blue to blue. Aquamarine is more frequent in occurrence than its famous green brother, but unlike Emerald, Aquamarine is usually almost free of inclusions. Aquamarine possesses a good hardness, ranking 7.5 - 8 on the Mohs’ hardness scale of 10. Aquamarine's positive hardness rating makes it quite robust and protects it generally from getting scratched. It is tough enough to used as a center stone in any piece of jewelry. 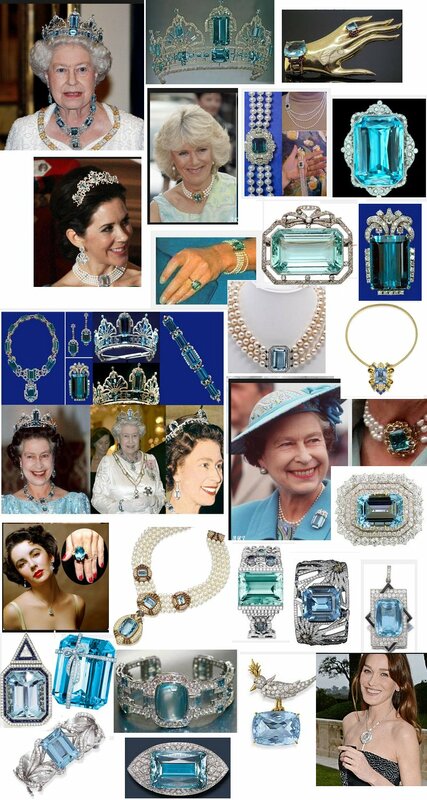 Aquamarines are mined in a number of locations including Nigeria, Madagascar, Zambia, Pakistan and Mozambique, but most aquamarine comes from Brazil. In Brazil, there are mines in the states of Minas Gerais, Espirito Santo and Bahia. Zambia, Madagascar, Malawi, Tanzania and Kenya also produce Aquamarine. We would be pleased to refer you to the website of JohnDavidCooney, an exceptionally talented (and extremely reasonable) custom jewelry designer. Domestic Shipping Only. Short Term Layaway OK.